Close your eyes and dream of your perfect day. Chefs Richard and Julie Lalonde are dedicated to helping you realize what your perfect day entails and bringing it to life. 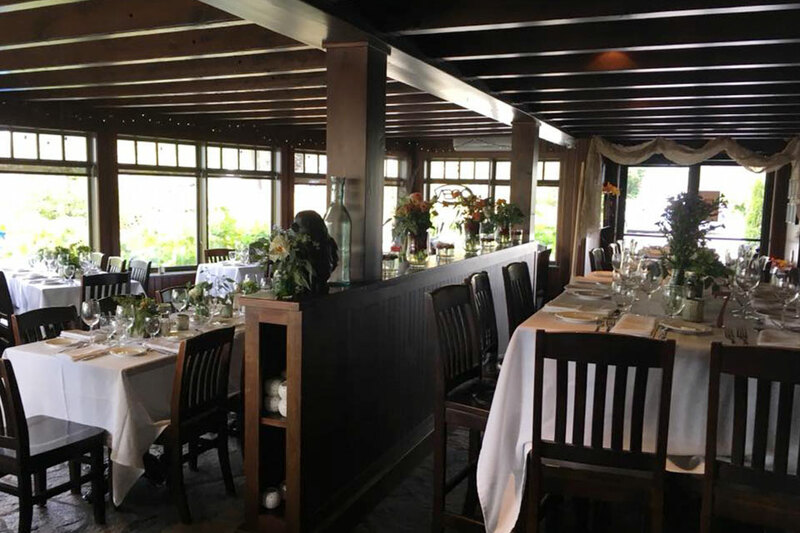 Whether your day is a romantic ceremony and reception dinner on the dock or a private party at Crossroads Restaurant, we offer you the flexibility to select your perfect venue and allow us to come directly to you. Whatever your catering needs, we look forward to helping you achieve it. Inspired by the seasons and sourced from local suppliers, allow us to create stunning, fresh, and elegant floral arrangements, custom-made for you — one to perfectly compliment the stunning Muskoka scenery. Choose from plated, buffet, food stations or cocktail style. Download our brochure below for sample menus or create your own menu to suit your own unique and individual needs. We make every effort to work with your budget and ideas. Chef Julie would be honoured to create the custom wedding cake or cupcakes of your dreams. Julie will bring her talent and creativity to each project whether it’s “simple and elegant” or “big and bold”. View Our 2018-2019 Catering Brochure! Please call 705.732.4343 to make a dinner reservation. We regret that we cannot take lunch reservations. We aim to give you the best possible service. No email or online reservations.